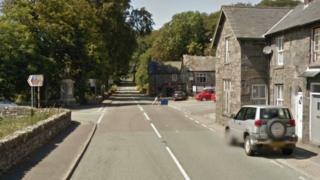 An 11-year-old girl has been seriously injured after being hit by a car in Conwy county. North Wales Police said the incident on the A5 near Pentrefoelas happened at about 16:10 BST and involved a silver Vauxhall Corsa. The road was closed for about four hours and the girl was airlifted to Alder Hey Hospital in Liverpool. Police want to hear from anyone who saw what happened to get in touch.